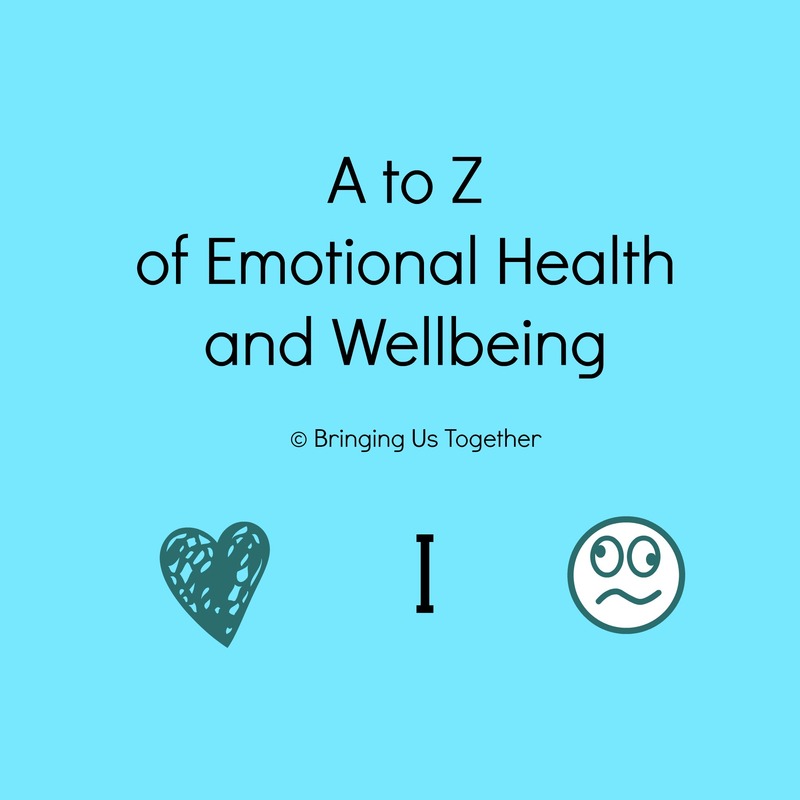 Our A to Z of Emotional Health and Wellbeing continues. We now turn to I is for Image and J is for judgement. They are combined in so many ways, judgement can be an important part of image (whether this is your own or someone else’s) so we thought we needed to combine the posts. A slightly obscure one perhaps for emotional wellbeing but read on and see how the image we have of ourselves and of others can impact our emotional wellbeing in many ways. How often do you look at other people’s lives and make assumptions about them? – They’re happier, better off, more fortunate, don’t struggle as much? Or of course they’re less fortunate, ‘poor things’ or just feel sorry for someone. How often do you look at your own life and instantly criticise how you look, what you are wearing, what your home looks like, or ask yourself how well other people think you are doing. The amount of times I’ve apologise in the past for my house looking like a tip is countless (although I don’t do so anymore!). We all do these things to some lesser or greater degree and we all make assumptions. Assumptions are generally never a good way to ascertain what is someone else’s truth. By this I mean what is their own actual experience of their own life. Lily Alan created a media stir recently when she apologised on behalf of her country over the refugee situation in Calais as many people found her statement did not reflect their own thoughts and feelings. As well intentioned perhaps as her statement was, it wasn’t received well by many because she had made an assumption which was based on how she felt about what was happening in Calais and not what she knew to be how other people felt about it. I believe Lily’s reaction was because of what she saw and she felt sad and ashamed of how those people were living but did it give her the right to make a country wide apology? Of course there are times when we will need to make and assumption as there may not be time to check out the other point of view, I don’t think there is any way of avoiding it completely! However the main focus of this post is to explore how we believe we are perceived by other people and and how we perceive others, such as being out in public and your child either misbehaves or has a meltdown or when you do an epic stalling of your car at the traffic lights. Our reactions are often as a result of embarrassment, shame or humiliation because of what we believe others are thinking or saying about us. But how do we know what they must be thinking or feeling? The short answer is we don’t – We have no idea what anyone is thinking or feeling and whilst occasionally we might be unfortunate enough to receive a judgemental look or a toot from someone’s car horn we still don’t know what they are actually thinking – It comes down again to assumptions – We make an assumption because that is what we are programmed to do – to keep ourselves safe and because it’s not often we find ourselves in a position where can actually ask someone what they were actually thinking or feeling. And let’s be honest – How many times do we actually think to ourselves ‘oh they must thinking what a tough times I am having’ – more often than not it’s a case of leaping to our own defence and making our own judgement about their perceived judgement – Confusing isn’t it. If you had received a look or a remark about it that could be taken either way then the chances are you would have taken it well and not felt sad or upset – It might have led you to a couple of less than nice thoughts about the person making the remark but perhaps it wouldn’t have affected you personally. Turn that situation into a time when you feel less comfortable with how you look or what you have prepared when having friends to dinner and an odd remark can be catastrophic and can ruin your whole night. It all depends on how we feel about ourselves and is a lot less about the other person – Of course it is always worth asking the other person what they meant by their remark if you know them and get an opportunity too. It might clear the air and allow you to move on. And if you don’t know the other person then the question I would urge you to ask yourself is ‘ Why am I caring what they think about me, they are a complete stranger – what is going on here! Here are a few tips on how to keep calm and not react to an assumption or judgement. Take a few seconds to process exactly what you feel you have heard? Know that you can walk away if you want to. Talk about it where possible – especially if it involves a friend or family member that you are close too. Do you have any tips or suggestions on how to deal with how we feel we are perceived or how we perceive others. I’ll happily add them to the blog. Being judged is one of the hardest feelings to deal with, especially when it involves our children and most of the time we deal with the feelings alone because of shame, embarrassment and humiliation. Sharing with someone really can change how you feel about yourself or a situation and can save sleepless nights worrying about things that you really do have the potential to change.